It was a pleasure working with Sue Fox. We were impressed that she had never pressured us for a listing. (Sh e waited for us to contact her again.) Sue is professional, knowledgable and efficient. And she has very capable help in the persons of the stager and the photographer. Our house was transformed! Sue generated a "buzz" even before the For Sale sign went up. And within a week, our house was sold! Sue Fox has been ranked the #1 agent in our region multiple times and was recommended to us when we decided to sell our condo, it's easy to see why. As this was our first time selling she was extremely patient walking me through all of the various steps and was in constant contact with us throughout the entire process. Whether it was about upcoming showings, feedback, next steps, comparable in our area or negotiations I always knew what was going on and what was next. She is very easy to talk to which was particularly important in our situation as we were selling a tenant occupied condo. She handled this situation professionally and I only heard great things from our tenant throughout the process. Thanks for making this potentially stressful situation such a breeze, all the best on you future sales! Sue Fox is exactly who you need to have in your corner, whether buying or selling — or both! She is a consummate professional whose knowledge of her profession is second to none. Bonus: no pressure. Ever! Just a steady, guiding light who knows how to make her clients feel very special, too. She knows the market inside out. 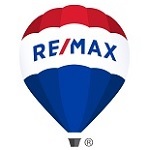 I absolutely recommend our gem of Orleans to any and all who are looking for the BEST agent in town. We are so happy we had Sue guide us through the process of buying/selling in such a hot and competative market. We bought our first home with Sue, and sold it again with her a few years later when it was time to upgrade. She then helped us find our forever home. Her knowledge, professionalism and positive demeanor helped keep us grounded through stressful situations (multiple offers, tight deadlines, etc.). We looked at so many houses with her and she was patient and did not push us throught the process. She is so personable and dedicated to her clients, and this really comes through in her work. We can't recommend her enough!